Established in 1998, Tricolour Concrete Ltd. is a family-run business owned by brothers Tony and Patrick. Serving residential, commercial and industrial clients anywhere in the Toronto area, Tricolour Concrete Ltd. can handle concrete projects of any size or scope. Fully licensed and insured, we specialize in lowering basements; we dedicate our business to underpinning. We are a one stop shop and do not sub-contract anything. TCC has a license for underpinning, drain work and rebates, and we supply drawings and permits. 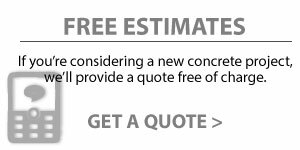 For a free estimate on your next concrete project, contact us today. Many basements in Toronto are little more than cellars. If you’re thinking of increasing the value of your home while adding valuable living space with a full-height basement, trust our team of professionals to get the job done right. 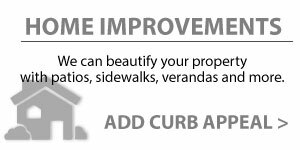 After generations of experience working with concrete, there is no home improvement project we can’t handle. Whether it’s adding a new addition, adding a basement or an entrance to a basement, TCC is up to the challenge. Any foundation can experience problems: cracks, dips, holes—we can assess your concrete problem and provide a free estimate on the work required. Don’t hesitate to contact Pat today; these problems only serve to get worse over time, resulting in major repairs. We can help with interior and exterior waterproofing, general repairs and more. During the course of your project, our owners – Tony and Patrick – will always be on-site to answer your questions and address any concerns you may have.